“We have every grounds to believe that it was a provocation. Of course, it was adroit and smart, but, at the same time, primitive in terms of technical performance. They took an old Soviet-made missile, which was taken out of service in the Syrian army long ago. It was most important to have ‘made in the USSR’ written [on the missile],” Putin said at the Valday discussion forum on Thursday. The Russian president pointed out that the August 21st attack in Damascus was not the first time chemical weapons had been used in Syria. “But why haven’t other cases been investigated?” he asked. The chemical weapon attack must be thoroughly investigated and those behind it must be identified, Putin told the Valday Club meeting in Russia’s Novgorod Region. “No matter how difficult it might be, but if in the end we manage to answer the question… as to who committed that crime – and that was certainly a crime – the next step will follow. Then, together with our colleagues from the United Nations Security Council we will have to define the level of responsibility of those who committed the crime,” Putin said. He stressed that measures like military strikes cannot solve every international issue, while should also be brought to the UNSC rather than discussed in the US Congress. “This would be a strike on the world order, not Syria,” the Russian leader said. Putin also said that he cannot be 100 percent certain that the Syrian government will completely fulfill earlier reached agreements on dismantling the republic’s chemical weapons. However, the latest developments have given signs for hope. “Will it be possible to accomplish it all? I cannot be 100 percent sure about it. But everything we have seen so far gives us confidence that this will be done,” he told journalists and experts. Earlier this month, Russia and the United States reached a deal on a framework that will see the destruction or removal of Syria’s chemical weapons by mid- 2014. That came after Moscow suggested that Damascus should put its chemical weapons arsenal under international control and the Syrian government accepted the proposal. 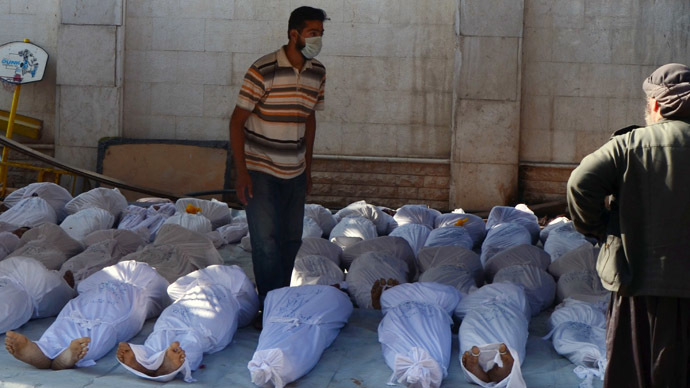 The republic also agreed to join the Chemical Weapons Convention which bans the production and the use of such arms. Speaking at the Valday gathering, Putin noted that Syria not only agreed to sign the international convention, but announced it already considers itself a party to the treaty. 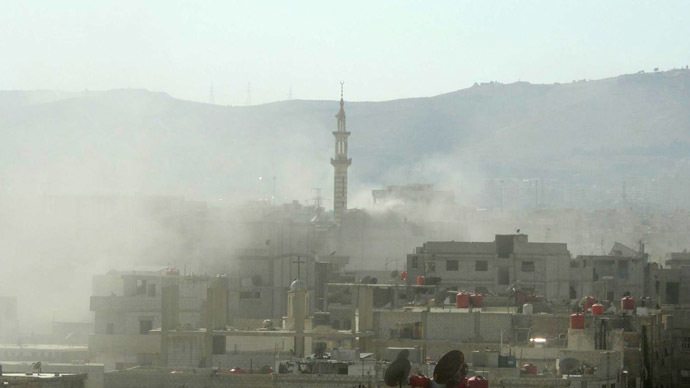 “These are practical steps that the Syrian government has already made,” Putin said. 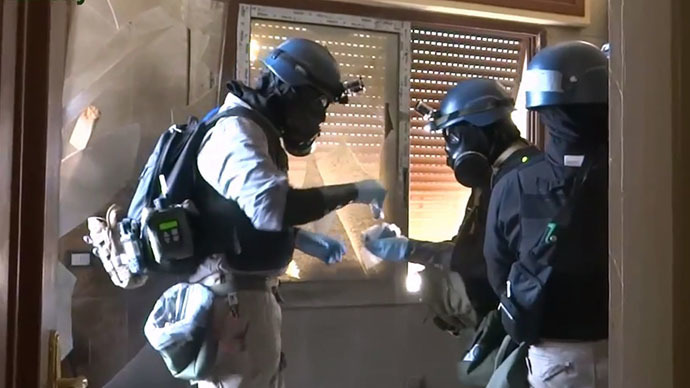 The United Nations confirmed last Saturday that it had received all the necessary documents from Syria for joining the chemical weapons convention and that Syria would become a member from October 14. Russia’s proposal for Syria was voiced as the Congress was readying itself to vote on President Barack Obama’s plan to launch a limited military strike against Syria in response to the chemical weapons attack in August. The US blamed the country’s government for the incident. The decision was put on hold after a suggestion from Moscow, which was discussed in detail by Secretary of State John Kerry and Foreign Minister Sergey Lavrov in Geneva. Putin dismissed allegations by some political analysts at the Valday Club that Obama’s acceptance of the Russian proposal on Syria was a face-saving move. “It was not about saving anyone’s face,” he said. “[Obama’s] decision was based on real analysis of the situation. 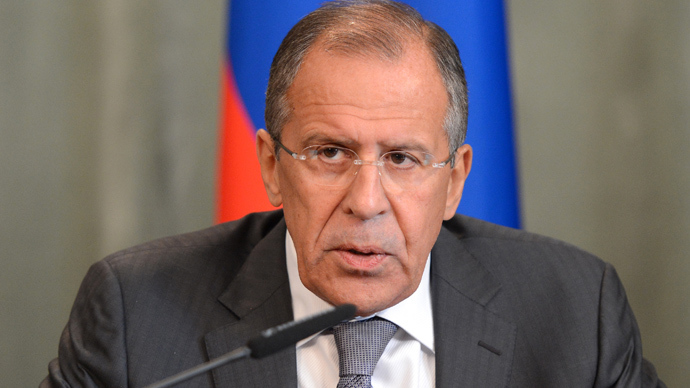 And I am very glad that our positions on the issue have matched,” Putin added. Putin also reiterated that Russia is pursuing no special interests in Syria which would prompt Moscow to preserve the Assad regime. He said that any attempt to interfere in the conflict by supporting one of the sides would bring imbalance. When the crisis began over two years ago, it immediately started getting support from abroad, he said. “How did terrorist groups like Al-Nusra appear there? Even the State Department admits that Al-Qaeda’s branches are fighting [in Syria],” Putin observed. The Russian leader is frustrated that Western states have no idea what they would do if, after their interference in the ongoing war, extremists came to power in Syria. “Would they drive them away with a newspaper?” Putin said. Russia has no current plans to destroy the Syrian chemical weapons stockpile on its own territory under the deal reached between Moscow and Washington in Geneva, Defense Minister Sergey Shoigu said earlier on Thursday. The announcement was welcomed by ecologists. “It’s good news. The elimination of Syrian chemical weapons on Russian territory could pose serious risks for the environment and people,” Vladimir Slivyak, co-chair of the Ecodefense organization, said. Ivan Blokov, the head of Greenpeace's Russian branch, added that the dismantling of Syrian chemical arms in Russia would not be reasonable, since the transportation of such arms may be even more dangerous. 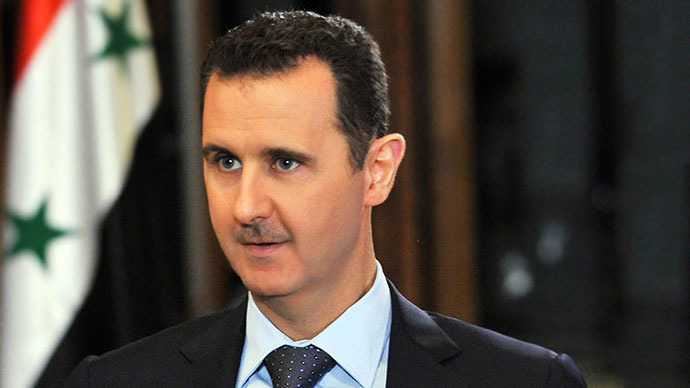 He suggested that the chemical weapons should be destroyed on Syrian soil. Syrian President Bashar Assad said earlier he was committed to the chemical weapons agreement and vowed to hand over the country’s chemical arms for destruction. The plan will cost around $1 billion and take about a year to complete, he added.